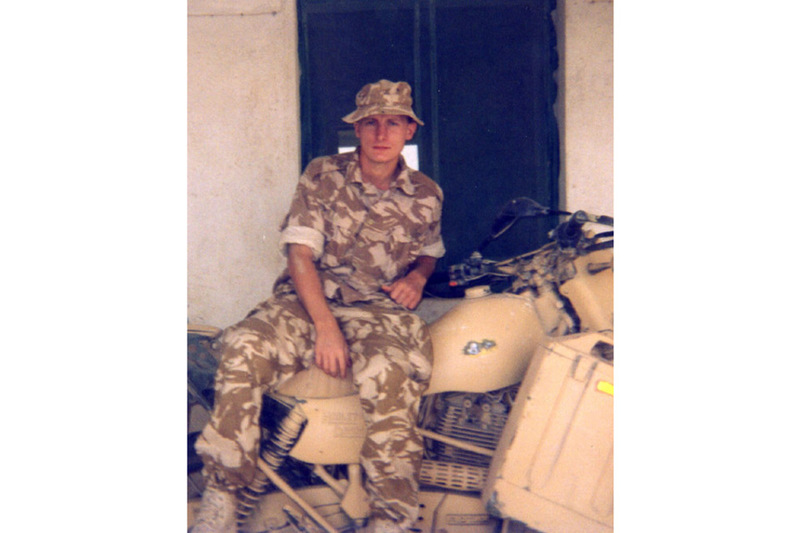 It is with very deep regret that the Ministry of Defence has to confirm that Sapper Robert Thomson was killed in a tragic accident in Basrah on 31 January 2004. The family and all of Robert’s friends were shocked and saddened to hear of his death during active service in Iraq. He was a wonderful son who lived life to the full, and was an ardent follower of Motherwell Football Club. He is sorely missed by all the family - all of whom were extremely proud of him being a soldier, and he was much looked-up to by his younger brother Stewie. He talked often about how much he loved serving with 35 Engineer Regiment, which he joined in December 2002. At this time words cannot express the depth of our grief, but mixed with our profound sadness there is pride in the knowledge that he died while serving his country - not only during the current tour, but last year when he went to Iraq with his Regiment during the war fighting phase. He will be remembered by all that knew him forever. On behalf of the family, we would be grateful to the media to now leave us alone to grieve in peace during this very sad time”. Sapper Robert Thomson joined 35 Engineer Regiment on 10 December 2002. Soon after arrival, he deployed to Iraq with 29 Armoured Engineer Squadron on Operation Telic, during the period of active combat. On his return from Iraq, he joined 37 Armoured Engineer Squadron to undertake a three-month deployment to Canada on Exercise Medicine Man 2, where he helped run the Troop command vehicle. On 13 November 2003 he returned with the Squadron to Iraq, where his skill as a plumber was in great demand, providing support to Coalition Force Camps. Known to all as Rab, he was a popular member of the Armoured Troop of the Squadron. A ready wit and a natural enthusiast, he made friends easily and was always good for morale. You could never stay mad at him long, as he always had a quick reply that would make you smile. Although not Armoured trained, he would always get stuck-in to help out on the tank park, a characteristic highly valued in any soldier. He would have been a strong contender for this year’s cadre, designed to train the best Sappers for promotion to Lance Corporal. He was very fit, and had recently attempted selection for Airborne Forces, but an injury during training prevented him from completing the course. Rab was a keen Motherwell FC supporter, and loved to play football. His sudden death in a tragic accident at Basrah Palace has shocked the whole Regiment and left many mourning the loss of a close friend and brother-in-arms. Our thoughts are with his family.